By 1993, De la Soul had etched their place in Hip Hop history. Their first two albums, 3 Feet High & Rising and De La Soul Is Dead had made their mark and are considered some of the greatest albums of all time. Their 3rd album, Buhloone Mindstate, may not have been as commercially successful as the albums before it, but after 20 years, its time to give credit where credit is due and award the monicker of classic to this album as well. Released on September 21, 1993; Buhloone Mindstate was a refusal to change their style of music for anyone else, even if it were to become popular. It contains DLS classics like Breakadawn & Ego Trippin' Part Two. The album was arguable more cohesive than its predecessors and showed some maturity from the group. It may have taken me 20 years to follow suit, but upon listening to this album today, not only is an audio time capsule to my later high school years, but its timeless. It's jazzy production and deep lyricism keeps the deepest of hip hop heads in audio bliss. 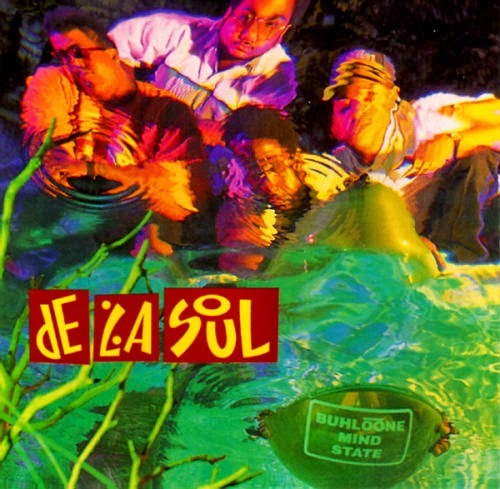 psychology celebrates the 20th anniversary of Buhloone Mindstate by blowing off the dust on the DITR archives and fishing out The Diamond In The Rough: The De La Soul Eulogy. Iggy Azalea: Change Your Life Feat. T.I.